Until three months ago, a single obsession ruled my world. It Austen all day, all of the time. Then suddenly, in a single moment, dear Jane was demoted to my number two concern. My beautiful baby girl now dominates my life, and my Austen interests have necessarily suffered as a result. How apropos that Jennifer Adams’ new book, Little Miss Austen: Pride and Prejudice: A Counting Primer, should be released at just this time. I admit to feeling a bit skeptical when I first heard of the concept. I doubted that the spirit of Austen’s most famous novel could be captured in a manner accessible to children. How wrong I was! I cannot think of a more excessively diverting manner in which to introduce my daughter to Austen than through this sweet book. The first thing that appealed to me upon receiving my review copy is the book’s format. It hasn’t taken our new family long to determine our preference for board books. Not only can the baby handle them to her heart’s content without causing any damage, but they are also very easy for her daddy and I to read to her one handed, as we always seem to be juggling more than one thing at a time (baby, book, and bottle – not an easy combo). I was next charmed by Alison Oliver’s illustrations, which are bold enough to hold my baby’s attention while invoking a period feel, resembling the samplers that Regency ladies so excelled at producing. These things are all wonderful qualities in a children’s book, but what really stands out about this volume is that it makes me laugh, independent of my little girl’s reaction (in fact I’m pretty certain I enjoy this book more than she does, though she has expressed her approval most determinedly – I believe her precise words on the matter were “ig ga bah”). It is also educational. As you will recall from the subtitle, this book is not only an homage to Austen. It is also a counting book, and Ms. Adams (who is, in the name of disclosure, no relation of mine) takes us from one to ten, each number reflecting an element of the plot of Pride and Prejudice. My favorites are “2 rich gentlemen”, “5 sisters”, and number ten, which, with the aid of a few zeroes, expresses one of those rich gentleman’s annual income. Highly amusing! Perhaps most gratifying for me on a personal level is to have a book featuring my daughter’s name sake. Her name is Eliza (Elizabeth was already in the possession of her cousin), and thanks to Ms. Adams she will always know, long before she’s ready to comprehend Austen’s original tale, precisely where her name derives. Yet even if you are not so obsessed with Jane as to name your children for her characters, rest assured that this book is sure to delight anyone familiar with Pride and Prejudice, be it though film or print. For the confirmed Janeite, it is the perfect shower gift. I could not ask for a more excellent addition to my daughter’s ever expanding library, and I want to thank Mags for thinking of me when she was asked to review this book. It has already brought much joy to Eliza and myself, and as we are sure to continue sharing and loving it for years to come, I think it is safe to declare this little volume the best review copy ever. 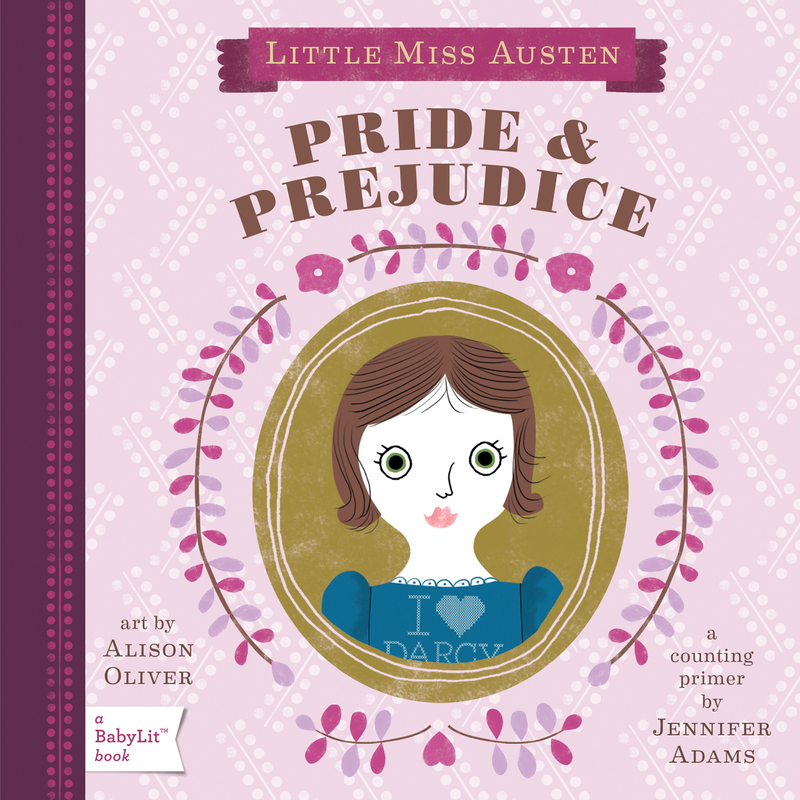 One last thought – I do hope Ms. Adams intends to find inspiration for more children’s books in Austen’s other novels. I think Northanger Abbey would make an excellent ABC’s book (A is for Abbey, B is for Bath, C is for Catherine…), that Sense and Sensibility would make a wonderful book of opposites, and Emma an awesome cautionary tale. I definitely intend to get a copy of the one other book in the “BabyLit” series that Ms. Adams has already written, Little Master Shakespeare: Romeo & Juliet. Alexa Adams blogs at First Impressions: A Tale of Less Pride and Prejudice. Jane Austen’s Pride and Prejudice cleans up at NYMF Awards! Too cute! I was unaware of this book. You are so right- shower gift! I love your ideas for other children books! Emma – “a cautionary tale” – love it!!! I posted about this book today too! What a coincidence! So cute! And I love your other ideas too!! Never heard of this book until today. Thanks for reviewing it! I think Jane Austen has something to teach to all age groups. I saw this and had to have it, even though my youngest babies are almost twelve years old now. It’s adorable, and it sits on the bookshelf with all my other Jane material! I just booked over to Amazon and bought a copy! I’ve been looking for something like this for my daughter (named Elizabeth for the heroine of P&P, of course!). She’ll love it! I’m going to have to get this book for my little one! 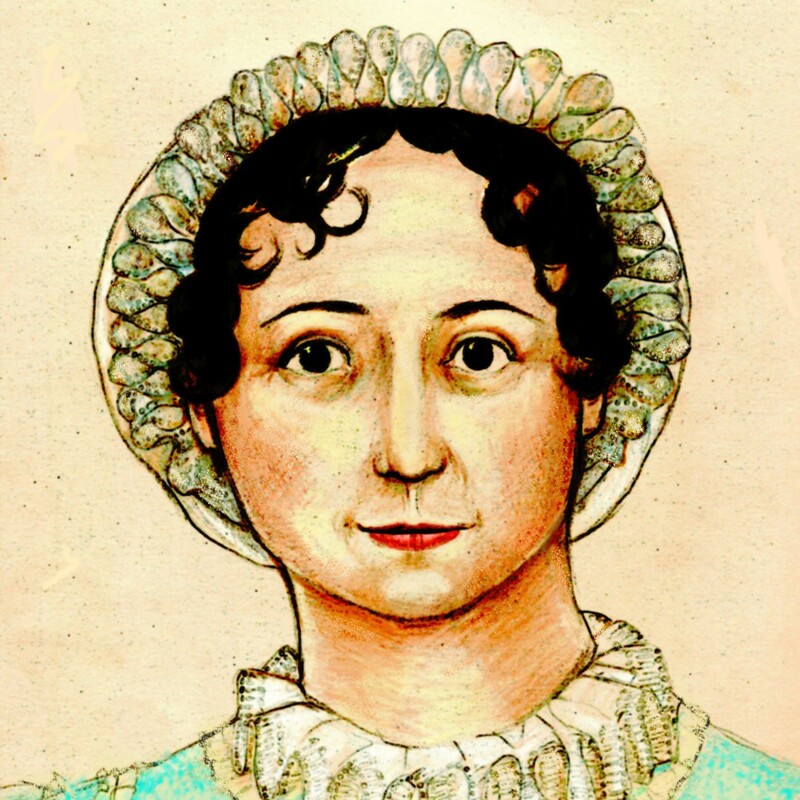 What a great way to introduce children to Jane Austen.